When you decide to purchase a house or condo, you know that you will need a down payment. 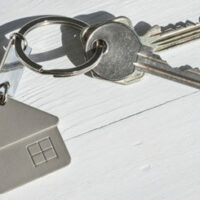 However, there are also a number of other expenses you must anticipate when it comes to buying residential real estate. This transaction can be quite expensive when all of the necessary steps and fees are added up. If you are considering buying a home, begin working with a West Palm Beach residential real estate attorney as soon as possible. A home inspection. In most situations it is smart to pay for a professional home inspection to review the property and ensure it is in good condition or that you know of any necessary repairs. It can cost $300 or more. A survey of the property. A licensed surveying may come out and review the property lines and ensure no one else has encroached upon the land. This can cost between $400 and $600. However, you may not need a survey if the seller has had one conducted recently. A title search. This search is to review the title for a piece of property to ensure the seller is the actual owner and no one else has an interest in the property. Title is the legal interest, also known as ownership, in a piece of property. A title search costs around $125. A title exam. Your attorney will charge you between $50 and $100 to examine the title of the property to ensure it has been properly passed from person to person and that there are no liens or judgments against the property. This is also known as reviewing the chain of title. Title insurance – an owner’s policy. This insurance protects you from financial loss if there is a defect in the title. A defect in the title may mean the ownership of the property does not properly transfer to you or that a creditor has a lien against the property. It costs approximately $6 per $1,000 of the purchase price of the property. Title insurance – a mortgagee’s policy. This type of policy protects the lender, not you. Banks almost always require this type of title insurance to protect their investment in this purchase. This costs approximately $200, if simultaneously purchased with an owner’s policy. Title endorsement. A title endorsement is a specific addition or limitation to your title insurance. It tailors the title insurance to your needs. An endorsement costs $50 each less 10 percent of the insurance amount. Mortgage insurance. Some lenders require that you obtain private mortgage insurance if you have less than 20 percent down. This protects the lender if you fail to make your mortgage payments in the future. If can cost you between $50 and $200 per month depending on the amount of your mortgage. Pre-paid interest. You may owe your mortgage lender interest for the first month of your ownership at closing. This interest is calculated based on the number of days you will have your mortgage during the first month. Lender fees: Many lenders charge a variety of fees for helping you obtain your mortgage, including an origination fee, application fee, processing fee, underwriting fee, administrative fee, and discount fees based on points. These fees can quickly add up to hundreds or more than $1,000. Be sure to speak with your attorney and lender before closing to understand all of the lender’s fees and what can be avoided. Intangible tax. This tax is charged in Florida and is based on the value of the mortgage loan. It is $.002 per each dollar of the loan amount. Documentary stamp tax. This is a tax based on your obligation to pay money. It is $.35 per $100 of the face amount borrowed from the bank. Recording fees. Counties require that property transactions are properly recorded. You can expect to pay $10 for the first page and $4.50 thereafter. Attorney’s fees. Your attorney will have closing fees at either a set price or based upon the specifics or time spent on the transaction. They are usually between $600 and $1200. Despite this lengthy list, there may be other costs when you purchase a home. For a full overview of what you can expect and the best ways to minimize closing costs, call the Law Offices of Larry E. Bray, P.A. in West Palm Beach at 561-571-8970.